The firm is dedicated to meeting individual and business clients' needs and rights in a society wherein litigation is a fact of life. Since its inception, the firm provides aggressive and thorough legal representation on behalf of its clients. Serving La Salle, Bureau, Putnam, Marshall, Lee, DeKalb, McLean, Peoria, Grundy counties, Illinois. 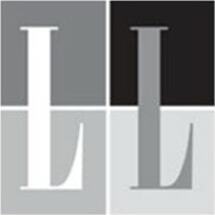 Established in 1983, Leynaud & Leynaud has earned a solid reputation for providing highest quality legal services in a broad range of substantive areas. Our pragmatism, our aggressive use of technology, and our dedication to client satisfaction distinguish us from our peers in the legal community. We take an innovative approach to meeting our clients' needs, including developing partnering relationships with our clients and designing special or alternate fee arrangements.